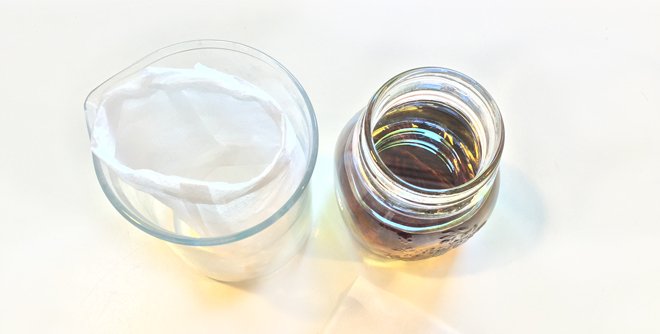 A couple of weeks back, we started a vanilla oil infusion and did a comparison test of vanilla bean quality. Today, we strain and check out the final product and, as promised, I'm going to share an easy peasy straining tip that is perfect for smaller amounts. Shall we strain our vanilla-infused oil? It usually isn't necessary if you 'double bag'. Transfer the oil to your final container. I'll bet you already know the answer to this one, and you are absolutely right. 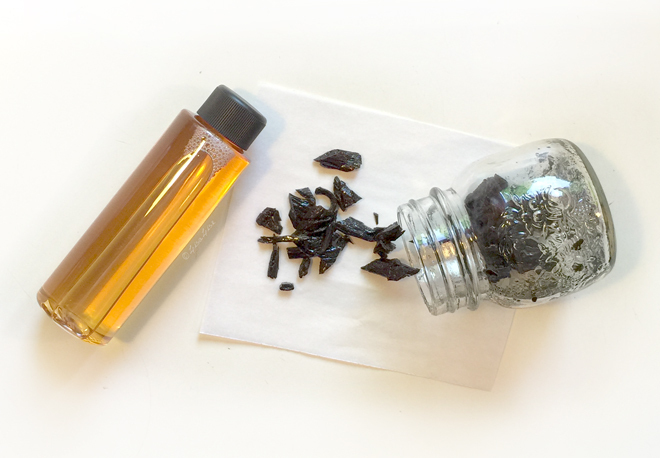 The pricier, juicier, plumper vanilla beans resulted in a richer, warmer, more luxurious scented oil. Once again proof that choosing quality raw materials is the best way to ensure a top-quality result. It's almost more fitting to ask where not to use an infused oil. 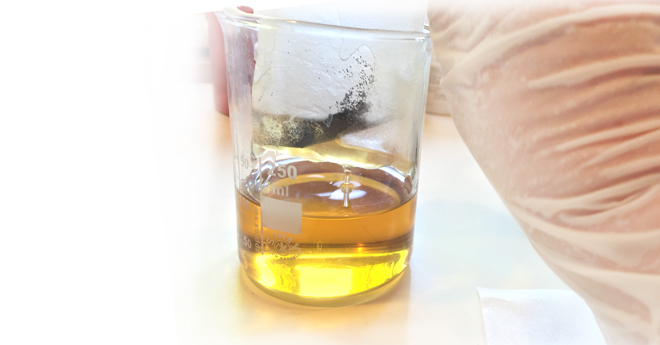 An infused oil can replace part or all of a regular carrier oil in any formula. 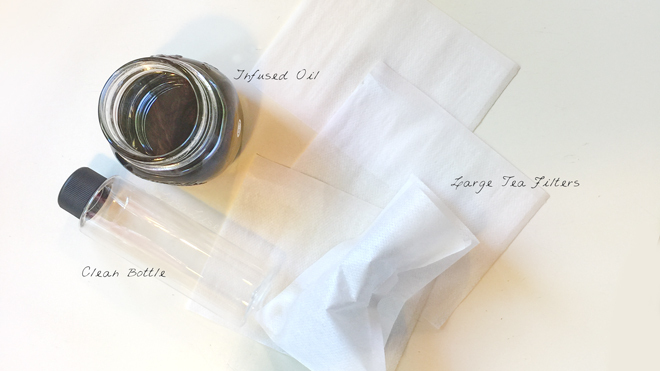 Visit the first post on making infused oil right here. Do you infuse your own oils? What are your favorite ingredients to infuse? Do you have any special straining tips to share? Please leave a comment. I told earlier, that I've made vanilla oil, but only for baking to use. For cosmetic purposes I often make oil infusions, mostly with lavender, rose, rosemary, basil, nettle or calendula. I've tried carrot and ginger too. Usually I use dried herbs, because that is more safe, but I've made small amounts of fresh herb infusions too when I'm using all the oil to some lotion and I'm using preservatives there anyway. Vanilla infused is one of my must haves, with arnica (sprains, bruises), calendula (multitask) and lavender (I use this last one specially for post-depilation oil). The double tea bag is genius! 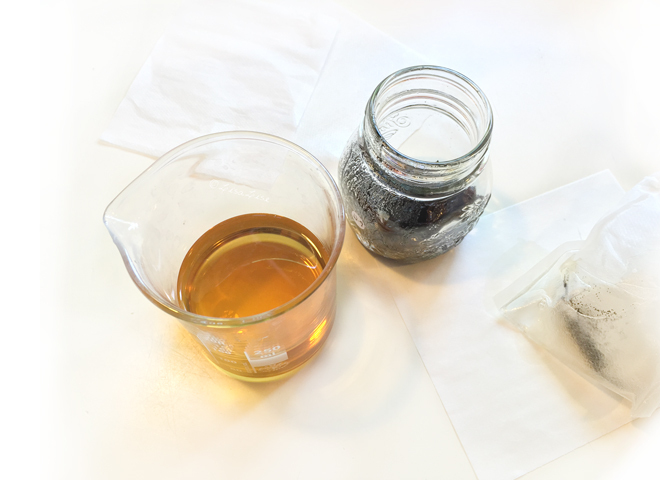 I've used tea bags to infuse the oil for the whole infusion process, depending the form of the material and if I'm using heat or not. It takes longer, but makes the decanting much easier. Sun infusions with powdered matter is great for this technique as long as you remember to agitate the bottles often. @María - tonka beans sound super interesting! I look forward to hearing how it turns out for you! @Gwen - I agree with you about sun infusion. I am partial to this method, and never forget to agitate daily as I cannot help but see the bottles every day. I have been wanting to make a vanilla infusion for sometime now, although dragging my feet bc of the high price of vanilla oleo resin. After seeing your post on using vanilla beans, I literally stood up and got started, why hadn't I thought of using the bean to start with? I am ready to strain today and love the idea of the double tea bag - thanks for the tip! I'll be making the jojoba/vanilla infusion into a winter lip balm with shea, and cocoa butter for Christmas presents. Thank you for the inspiration; the wheels are turning on what to do next! I would love to see how you end up using yours! Hi Carol - Oh wonderful! I hope it turns out beautifully for you! I use mine for lip balms, face oils and more..